Kohimarama Yacht Club hosted the annual Junior Sail Auckland Regatta over Waitangi weekend (Feb 6th – 8th). Although KYC is the regular venue for this big regatta, this year the scale of the regatta was even larger. 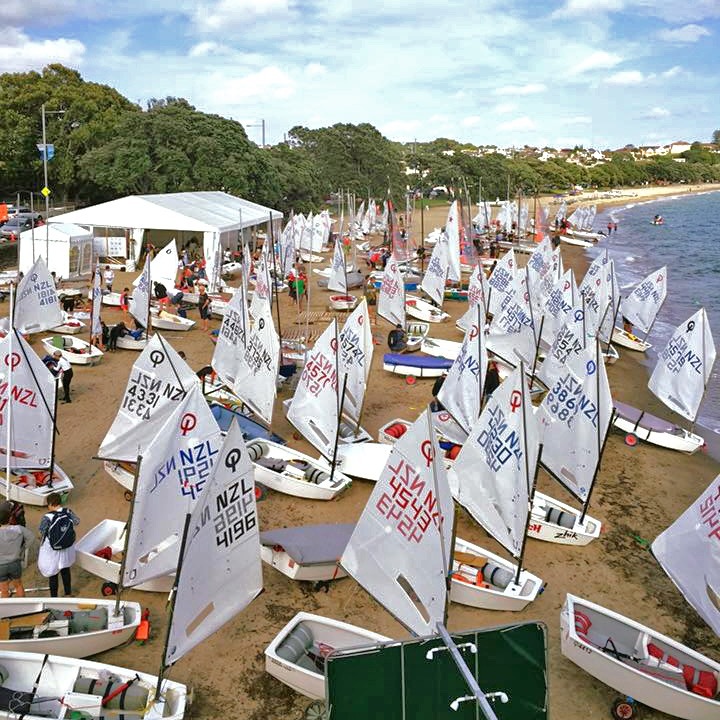 Extending the regatta out to three days of sailing was adopted to accommodate the Optimist pre-nationals along with the National Optimist Club Teams Racing Championships. The regatta also served the 420’s as their North Island Championships. Close to 180 yachts in seven classes, over 3 courses took part. The weather provided a few challenges, but feedback was that this was a well organised and run regatta. The event was enjoyed by sailors, parents, race officials and KYC members alike. 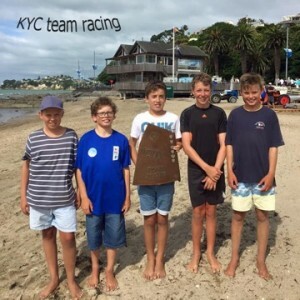 KYC won the Optimist Teams Racing Championships for the second year running, in a final against the Worser Bay team. 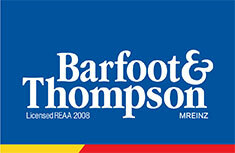 Congratulations to team members; Gavin Ninnes, Monty Alderson, Toby Nathan, Nathan Vince and Luke Cameron-Smith. A huge thank you goes out to everyone involved in the regatta. From those on the committee who have been planning this event for months, to the race officials, judges and the team on the water laying and running the courses. Also thanks to those on shore launching boats and managing on shore/beach activities. Thanks to all of those on catering, running the galley and making lunches early in the morning. It was pleasing to see all the parents and volunteers who pitched in and did their bit, however large or small, to make the event successful. 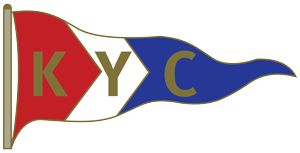 With the upcoming Optimist Nationals being held at KYC over easter, we are confident that we will be able to call upon everyone’s assistance to put on another great regatta.